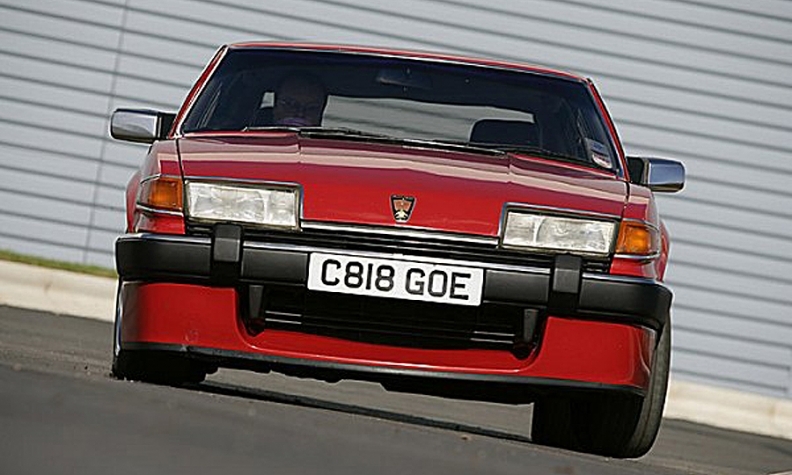 The 1986 Rover SD1 helped usher in the aerodynamic era. Ladies and gentlemen, we are gathered here to pause for a moment and remember dear, old Rover. Ten years ago (Saturday) in England, MG Rover Group called in the receivers -- the British version of declaring bankruptcy -- and ended the journey of one of the most pioneering companies in all of transportation history. As an American, you probably have never driven a Rover car. They were never popular here. Nonetheless, if you have ridden a bicycle -- and that’s all of us -- you owe Rover a small debt. The Rover Safety Bicycle of 1885 put the world on two wheels. This was the first modern bicycle as we know it -- with two wheels of the same size, direct steering and a chain driven rear wheel. Before the Safety Bicycle, the old, dangerous high-wheeler bicycle, the penny-farthing, ruled the roads, but a wrong move could cause the rider to do a “header” -- that is, fall forward over the handlebars and land on his head. 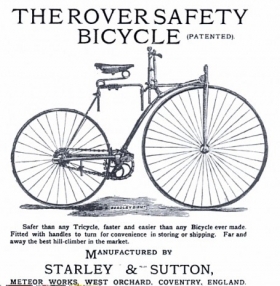 The Rover Safety Bicycle, developed by John Kemp Starley, changed all that. And the global success of the Safety Bicycle helped turn Coventry in the British midlands into England’s Detroit as other manufacturing concerns, such as Jaguar, Triumph and Sunbeam set up plants in Rover’s hometown. From bicycles, Rover next produced motorcycles, and then in 1904, its first cars. Over time, Rover emerged as the sort of British Buick. After World War II, the company developed the Land Rover off-road to compete with Jeep. Sales were slow but steady. And over time Land Rovers earned a reputation for being nearly indestructible. A descendent of the original 1948 Land Rover Series 1, today called the Defender, finally ends production this fall. Rover’s cars were not full-out luxury machines like a Jaguar, Bentley, or Rolls-Royce, yet most Rover models offered advanced engineering and traditional wood and leather interiors. Rover began sales in the U.S. in the late 1950s and was only a minor player here, selling just a few thousand Rover cars and Land Rover off-road vehicles each year until the early 1970s. Rover tried for a U.S. comeback twice, first in 1980 with the aerodynamic Rover 3500 SD1 five-door, and then in 1987 with the Honda-powered Sterling line of sporty sedans. Both ventures ended badly, and only Land Rover, which returned to the U.S. in 1986, found success. By the late 1980s, British Aerospace had become owner of what was once British Leyland, Rover’s parent company. BMW bought the company in 1994, but after years of heavy losses, broke it up in 2000. BMW kept the Mini brand. Land Rover went to Ford, which already owned Jaguar, while the MG and Rover brands were sold to a group of British investors for 10 pounds. But five years later on April 4, 2005, MG Rover ran out of money. MG Rover’s assets were auctioned off, and eventually most of the remains of the company were obtained by China’s Shanghai Automotive Industry Corp. SAIC ended up with Rover’s technology and production equipment, but not the brand name, as well as the MG brand. On the left is a mid-1960s Rover P5B, a favorite of British government officials. 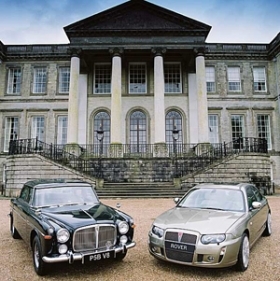 On the right is a 2005 Rover 75, the final car the company produced. It’s been a weird decade since MG Rover’s demise. India’s Tata Motors succeeded where Ford and BMW failed and turned Jaguar and Land Rover into a global juggernaut with sales of more than 500,000 units per year -- and growing. MG -- one of the world’s most cherished brands of sports cars -- moved to China and was recast as a no-frills, entry-level economy brand. After a bumpy start, MG is on the road to success. The brand is just now launching a sharp-looking small SUV. Rover’s technology was shipped to China and was used spawn a knockoff brand, Roewe. SAIC continues to build a version of the BMW-developed Rover 75 flagship, called the Roewe 750. Sales of all Roewe vehicles were 155,000 in China last year. By 2013, Britain would pass France and move into third place behind Germany and Spain in auto production. Who could have foreseen any of that?